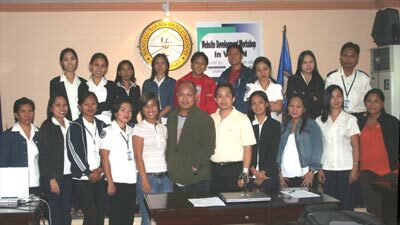 The Friedrich Naumann Foundation (FNF) supported an offshoot of the successful “Express Yourself!” blogging and podcasting workshop on August 15-16, 2006 at the University of Northern Philippines (UNP). This initiative is part of the Foundation’s ongoing effort to encourage the freedom of expression through new information technologies. Thirty-nine Sangguniang Kabataan of Vigan (Youth Council) members actively partook in the workshop, headed by no less than Mayor Ferdinand Medina and Vice-Mayor Francisco P. Ranches Jr. This was the first time for many of the youngsters to use the Internet, but they gamely learned the basics with the help of Mr. Abraham “Abe” Olandres, technical consultant and resource speaker for “Express Yourself!” Atty. Elena Cardines, dean of the UNP College of Law and alumna of the second workshop, gave pointers on how to create appealing Weblogs. At the end of the day, 35 new blogs and three podcasts were created.